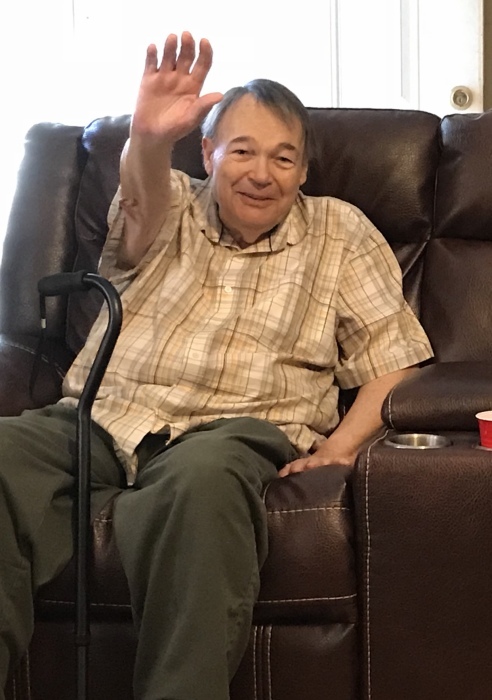 Donald Raymond Halbert passed away in death on January 19, 2019 at the age of 75. He is survived by his loving wife of 47 years, Sandra Mae Halbert, as well as two daughters, Darla Hayes (Charles) and Marla Pachmayer (Douglas), grandchildren Douglas (Christine), Sarah (Caleb), Rebekah (Matthew), and Joseph (Adriana), great granddaughter Norah, and a great grandchild on the way. He was preceded in death by his parents, Donald J. Halbert and Loretta F. Halbert, sister Shirley Jarvins, and brother Mervin Clark. He was born and raised in Stark County, Ohio and remained a resident of Northeast Ohio for many years. He retired from the railroad after 36 years of service. In 2003 Don moved to Ocala, Florida with his family and lived the remainder of his years there while spending many summers in Ohio visiting his friends and family. He loved spending time with his nieces and nephews. He was an avid fisherman and outdoorsman. Don had a great sense of humor and loved telling jokes and making people laugh. He was known for his kind and gentle disposition. His pride and joy was his family whom he loved very much. Services will be held at Countryside Funeral Home on Saturday, January 26, 2019 at 4:30pm.